the challenge is to use Halloween or Halloween colors. This witchy poo is so ugly she's cute! 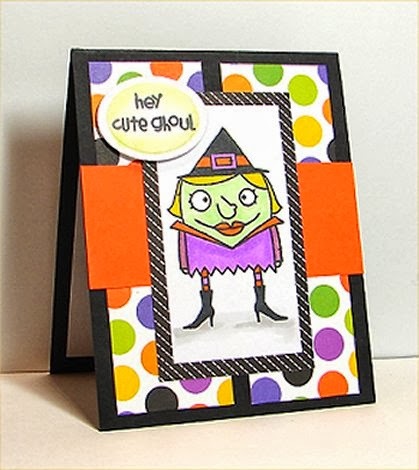 She's new from paper smooches. Adorable card! Love that fun image! !